For gaining the full potential of WordPress it is advisable to look for custom WordPress development services US that offers to its customers the best WordPress development services. Over the years WordPress has become the primary CMS platform, this translates into 30.2% of all the websites on the internet according to w3techs. Furthermore, since WordPress dominates Google’s SERP with 538,000,000 results, building a website with it can be quite effective. Hence a well-known custom WordPress development company, will always the aim to provide the clients with an attractive and dynamic website. 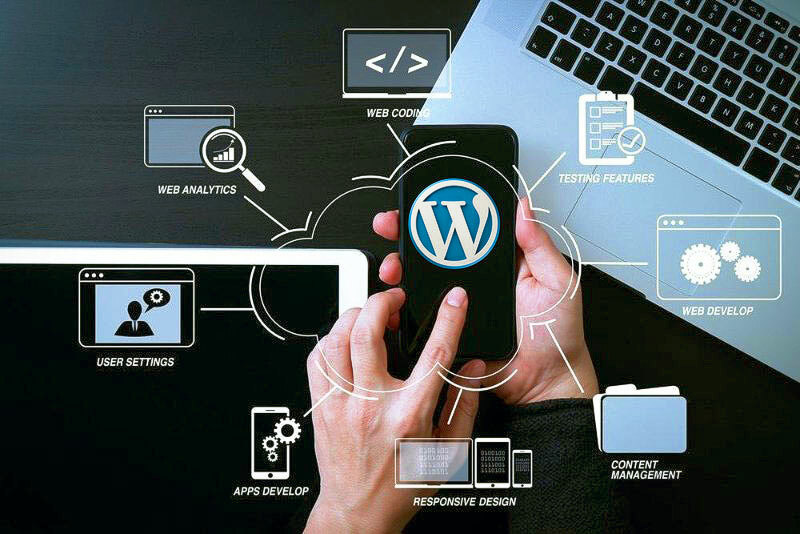 To get the best features of WordPress it is important to hire or work with a Custom WordPress Development Services who knows how to use this free and open-source content management system. As there are several features in WordPress that cater to different kinds of websites. But why should one use WordPress to build a website? Why is it considered to be one of the best platforms? Apart from the facts like it is free of cost and has a significant presence in Google what makes it so lucrative? Change Appearance: WordPress being a content management system permits the user to alter, edit, organize the website’s appearance without having to use code. It is more than publishing: Though WordPress is mostly associated with publishing it also supports other web contents like mailing lists, forums, media galleries, online stores and etc. Free Installation: The CMS system offered by WordPress can be installed for free on any website. As an open source software, a person can build modify and redistribute the material in the way they choose. Customize Themes and Frameworks: WordPress offers quite a lot of themes to work with while building a website. But what is a theme? It is a collection of functionality, code, and styles that can be installed onto the website as a theme. This enables the user to access the functionality and the styles along with any plugins that the theme has without using code. There are several WordPress theme customization companies that are dedicated for providing the best themes that would suit your project and website. It is the job of a WordPress service company to help in customizing the themes in WordPress. In the market, one can buy premium themes between $50 and $250 and it is up to you and the WordPress developer to decide on the theme that would suit your website. Easy to use: Unlike quite a few interfaces in the market WordPress might seem a bit daunting to work with, in the beginning. However, a WordPress service provider can make it easy for you. In case you want to work on your own in WordPress to build your website, after the initial fumbling with the sparsely designed interface you will notice it is easy to work on. WordPress in intuitive and you practically edit anything in the CMS. Google Analytics: While it is easy to use, WordPress also have a plugin that you can install. One such plugin is Google Analytics that connects directly with your WordPress business website. With this, you can easily access and analyze your website and its status. Understand the backend statistics and strategize accordingly to boost your website. If you are unsure about how to use and install the plugins you can easily seek help from several WordPress plugin development services that are in the market. No coding required: The designing of the WordPress themes enables you to work with it on the WordPress CMS interface without using any codes. All you have to do it plugin and the functionality will be available for you to build the page. You also have the option of buying themes from the market that are specific for websites catering to a certain industry There are also some popular themes in the market that can be used and easy to scale. After purchasing the themes you have to upload and install it on the website created with WordPress. This will activate the modules and page builder from there you can start building the website without any code. You can scale it: WordPress is usually installed onto the domain and you are not required to pay any extra after your website reaches a certain level of traffic. Instead, you just pay for your domain and hosting. Depending on the size of your website you can get WordPress hosting packages for minimum cost. Once you start to scale you can change to high-quality professional hosting packages or plans. Unlike many other interfaces with WordPress, you have to pay once for the theme and an annual fixed cost for hosting and domain. Market surveys have also revealed that WordPress is cheaper than Shopify and Wix. WordPress Is cheaper: Compared to other developers like that of Drupal and Joomla WordPress developers are easily available. Also in the market, there are more WordPress Development Companies hence more service providers, therefore, less expensive. WordPress is innovative: With the knowledge that WordPress has more visitors than Twitter, it is impressive to know that they are more innovative. This is because abundance and influx of traffic drives innovation to stay in the top of the competition. 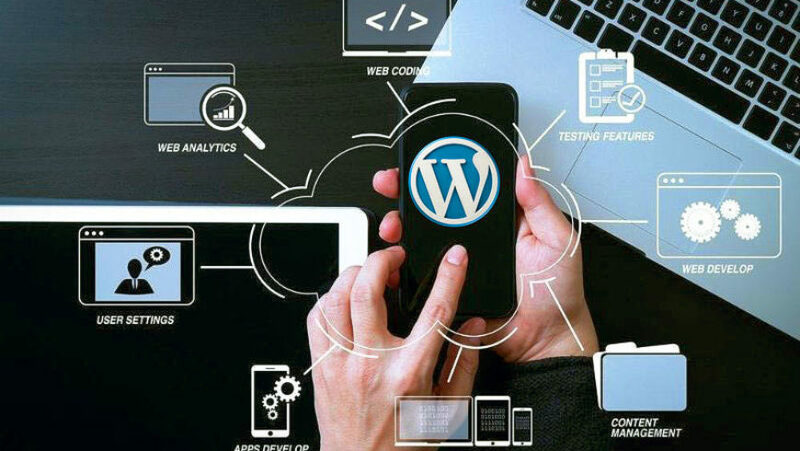 As a result, WordPress has given a platform that is far superior to others in integration, plugins and updating the tools that can analyze growth. Cost effective: WordPress is a Content Management System with which it is quick and easy to wireframe a new website. Since it is free to use and costs less than others for the domain and hosting it is easy to build based on the data. In that way, without spending much and changing the website as per the requirement WordPress is your answer. Mobile responsive: In this day and age, no website can be successful if it does not a mobile or tablet friendly. However, any properly developed WordPress theme will be mobile responsive. If you are unsure of how to use WordPress for mobile it is worthwhile to take help of WordPress Development companies. WordPress offers many online tutorials and guides for the newbies and also those who want to learn more about using it. But if you are considering building a website with WordPress do consider availing the service of a Custom WordPress Development Company. They will be able to guide provide you with all the benefits that WordPress as a platform offers. This will allow you to do your work without having to waste time on developing the website. Furthermore, with several WordPress outsourcing companies in the market the rate for developing a website in WordPress in quite less.